BISMARCK – Equine herpesvirus myeloencephalopathy (EHM) has been confirmed recently in horses in several states, including Idaho, Arizona, Nevada, California and Iowa. Owners of horses that have traveled in those areas recently are being advised to keep their horses in isolation for two weeks and monitor for clinical signs, which include: fever, nasal discharge, depression, incoordination, hind limb weakness, loss of tail tone, loss of bladder tone, dog sitting position, and inability to rise. Those planning to travel with their horses out of state or to events in North Dakota where out-of-state horses may participate should visit with their veterinarian regarding booster vaccinations and potential exposures to EHM. EHM can be spread through the air, contaminated equipment, clothing and hands. Biosecurity measures that can reduce the risk of spreading the disease include avoiding shared food or water containers and preventing nose-to-nose contact. 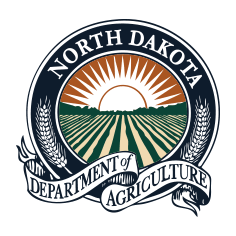 Any horses entering North Dakota for any length of time must be accompanied by a certificate of veterinary inspection and a negative Equine Infectious Anemia test. Although highly infectious and contagious among horses, EHM poses no threat to human health.